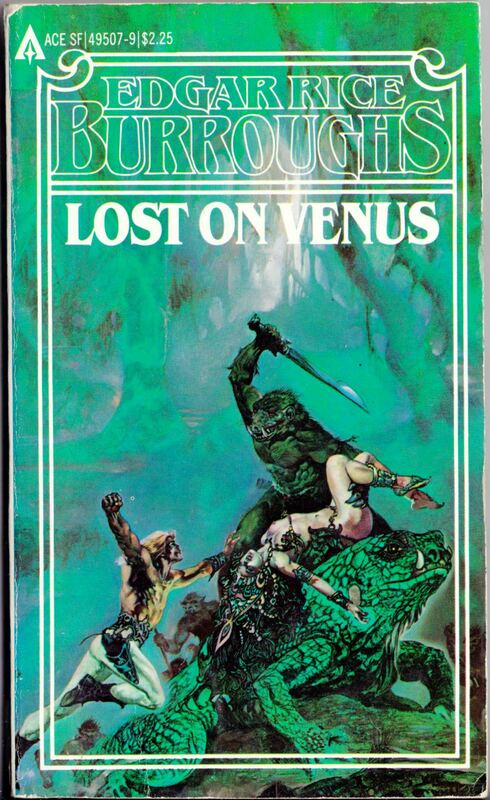 Keywords: Lost on Venus, Pirates of Venus. What’s this? My fourth post today? 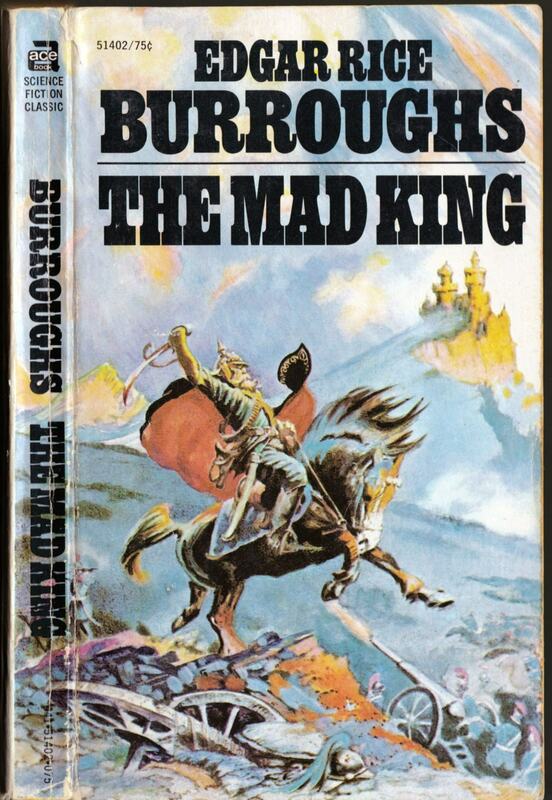 ABOVE: Edgar Rice Burroughs, The Mad King (New York: Ace, n.d.), with cover art by Frank Frazetta. 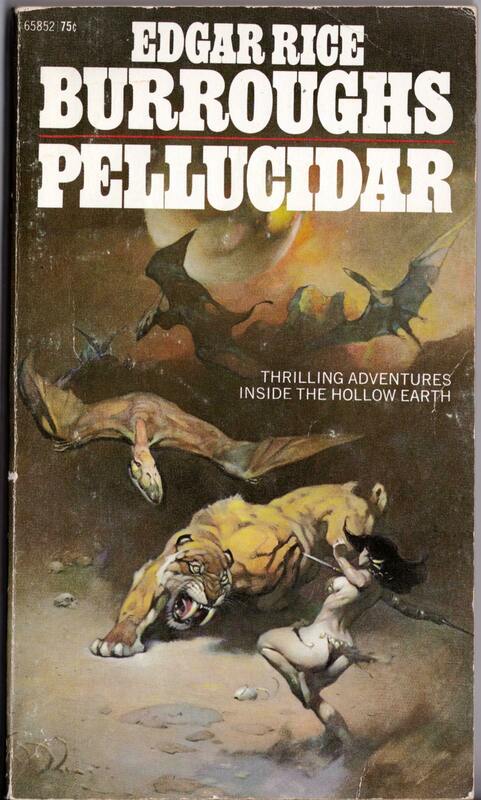 ABOVE: Edgar Rice Burroughs, Pellucidar (New York: Ace, 1972), with cover art by Frank Frazetta. 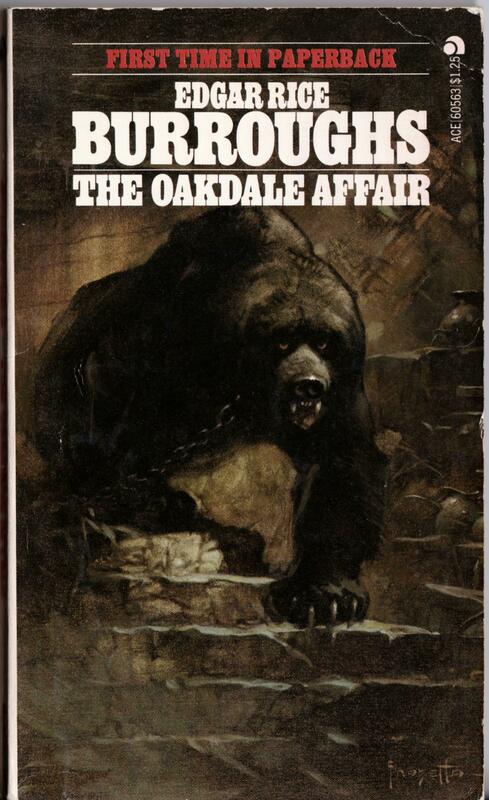 ABOVE: Edgar Rice Burroughs, The Oakdale Affair (New York: Ace, n.d.), with cover art by Frank Frazetta. 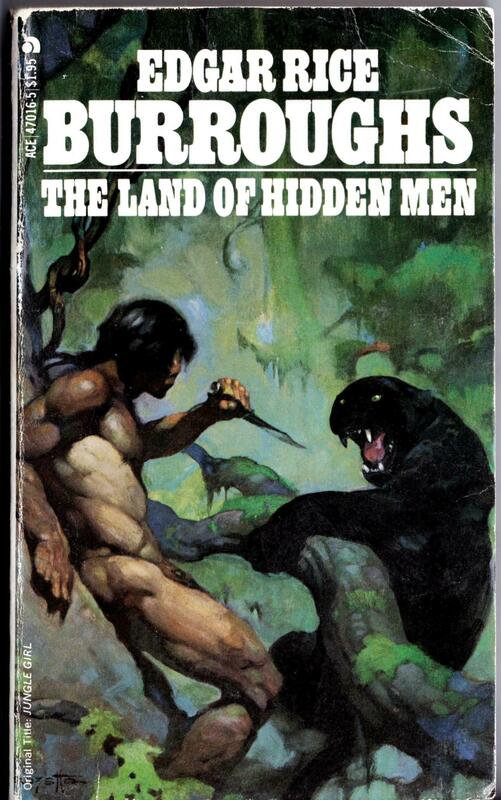 ABOVE: Edgar Rice Burroughs, The Land of Hidden Men (New York: Ace, 1978), with cover art by Frank Frazetta. 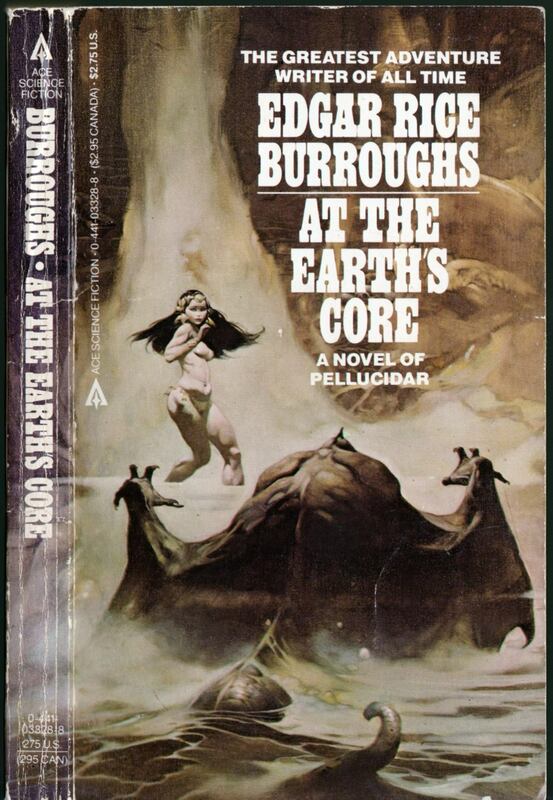 ABOVE: Edgar Rice Burroughs, At the Earth’s Core (New York: Ace, n.d.), with cover art by Frank Frazetta. 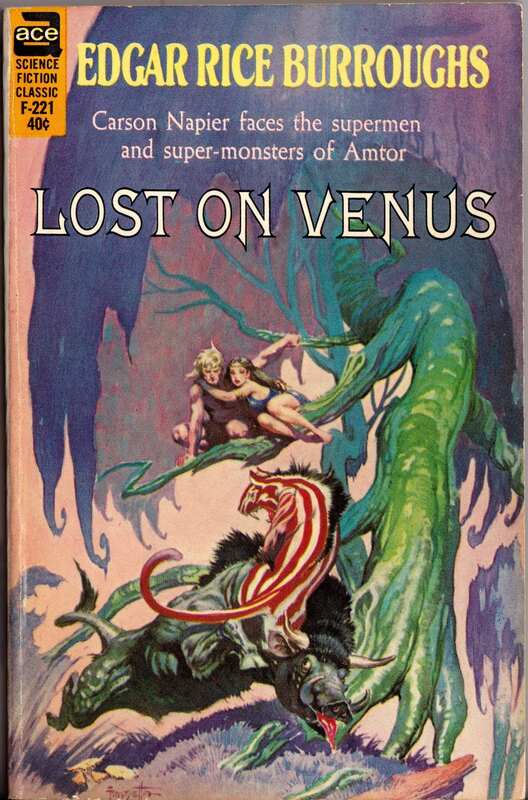 ABOVE: Edgar Rice Burroughs, Carson of Venus (New York: Ace, n.d.), with cover art by Frank Frazetta. 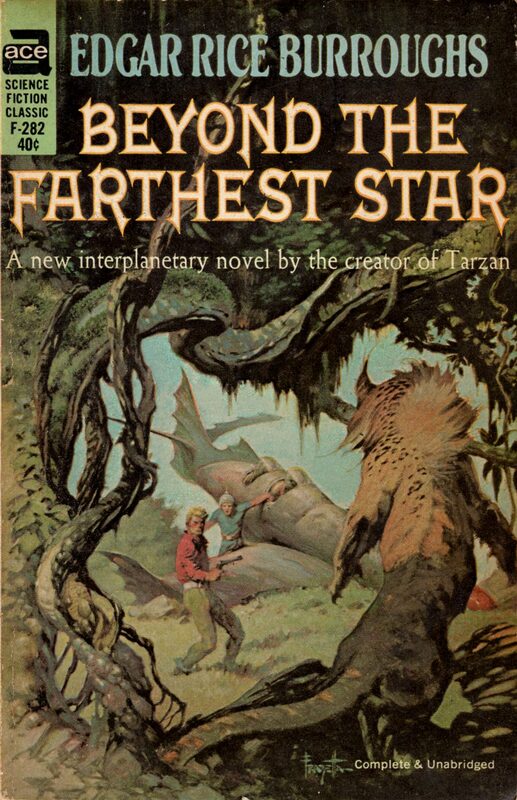 The more elaborate Carson of Venus design is the odd man out here, I know, but since it is the last Edgar Rice Burroughs paperback with cover art by Frazetta that I have on hand, I thought I might as well throw it in as a bonus! 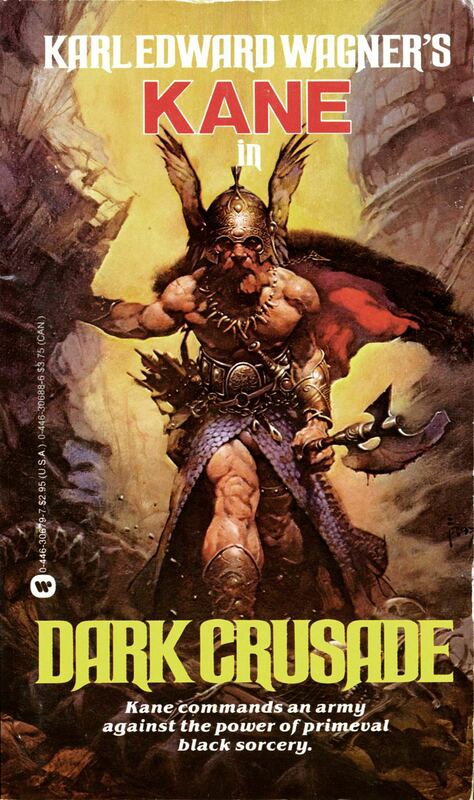 Keywords: The Mad King, Pellucidar, The Oakdale Affair, The Land of Hidden Men, At the Earth’s Core, Carson of Venus. These are the only two “Ace Science Fiction Classic” paperbacks with cover art by Roy Krenkel that I own, so enjoy! 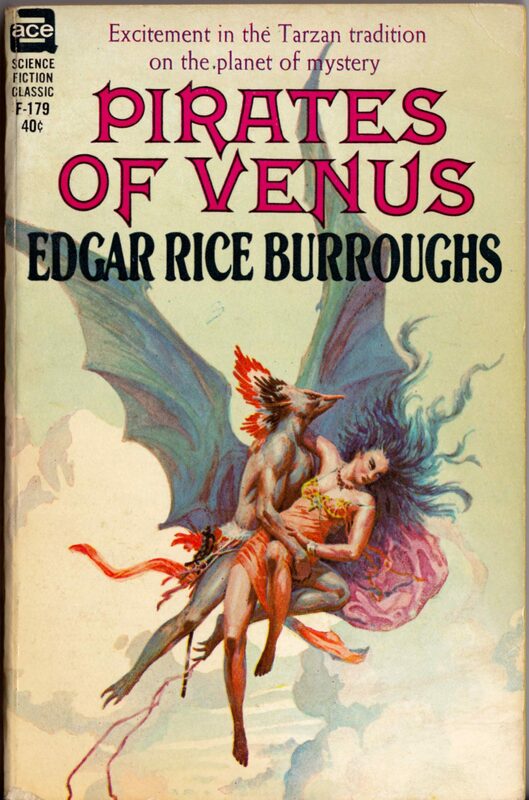 ABOVE: Edgar Rice Burroughs, Pirates of Venus (New York: Ace, 1963), with cover art by Roy Krenkel. 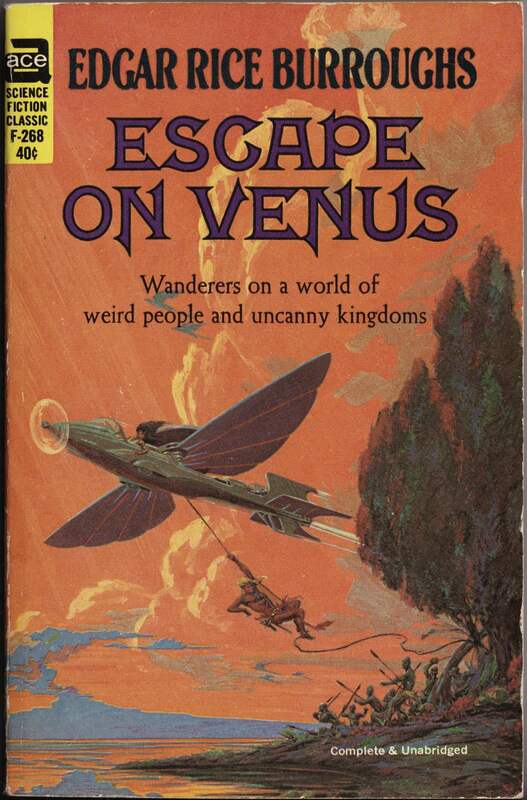 ABOVE: Edgar Rice Burroughs, Escape on Venus (New York: Ace, 1964), with cover art by Roy Krenkel. 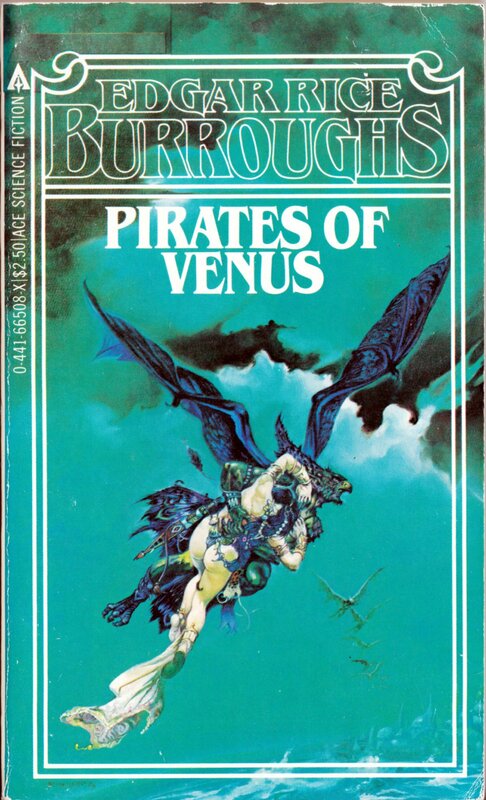 Keywords: Pirates of Venus, Escape on Venus. 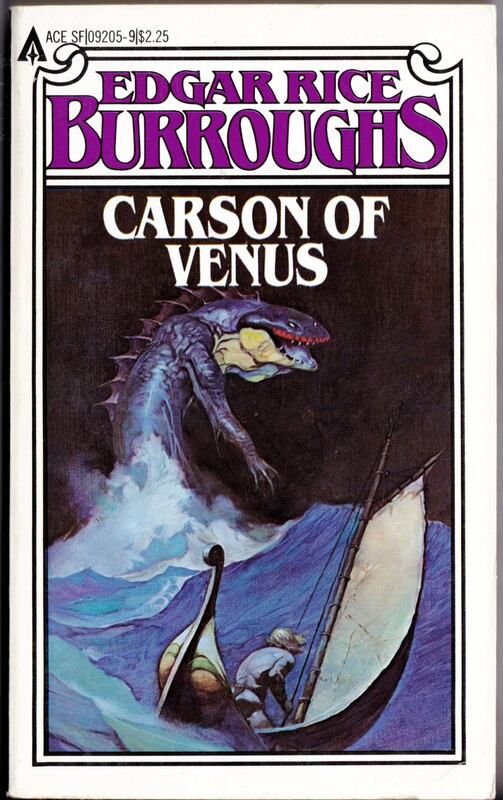 ABOVE: Edgar Rice Burroughs, Carson of Venus (New York: Ace, 1963), with cover art by Frank Frazetta. 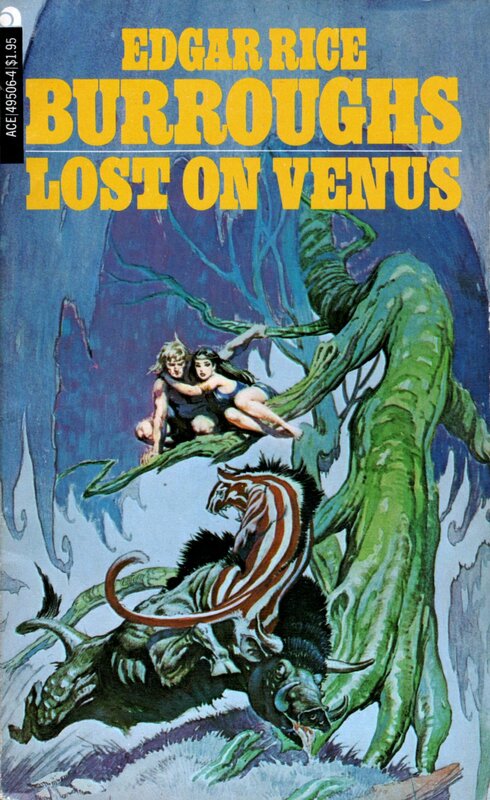 ABOVE: Edgar Rice Burroughs, Lost on Venus (New York: Ace, 1963), with cover art by Frank Frazetta. 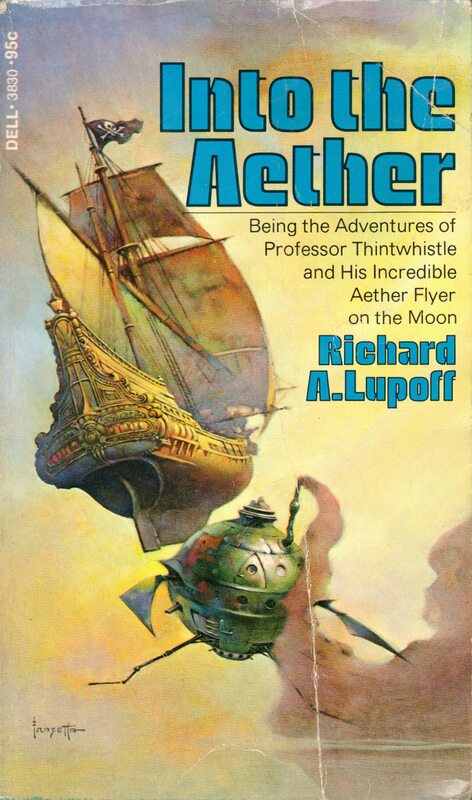 ABOVE: Otis Adelbert Kline, Maza of the Moon (New York: Ace, 1965), with cover art by Frank Frazetta. 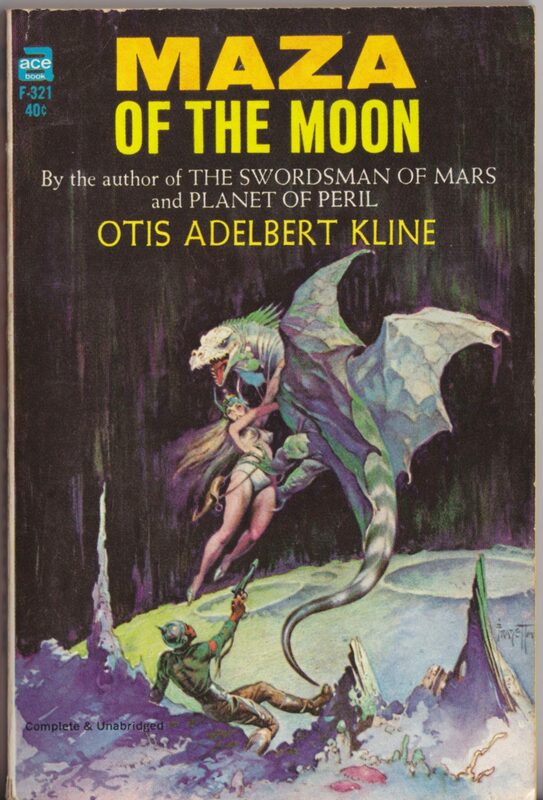 If Otis Adelbert Kline is known for anything, it is not the quality of his writing but the way he promoted his highly derivative adventure stories by surreptitiously circulating a rumour, reported in the fan press but later debunked, of a feud between himself and the pulp-fiction juggernaut he most closely styled himself after, Edgar Rice Burroughs. Next up: more Jones covers! 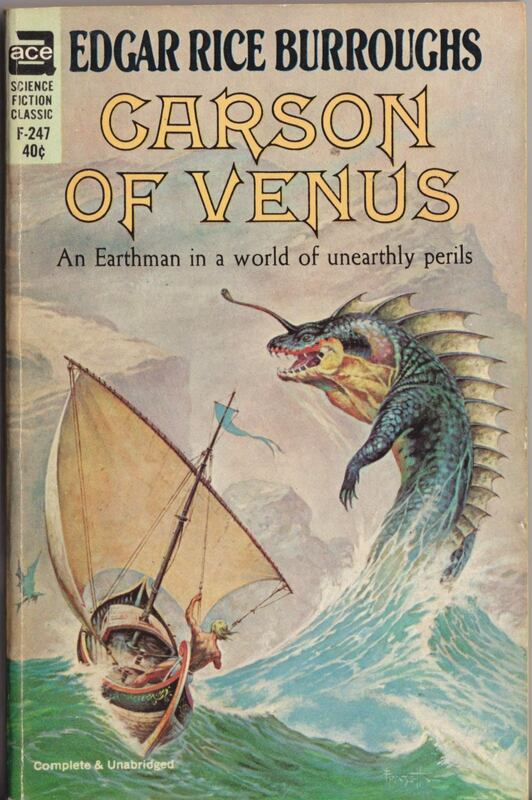 Keywords: Carson of Venus, Lost on Venus, Maza of the Moon. 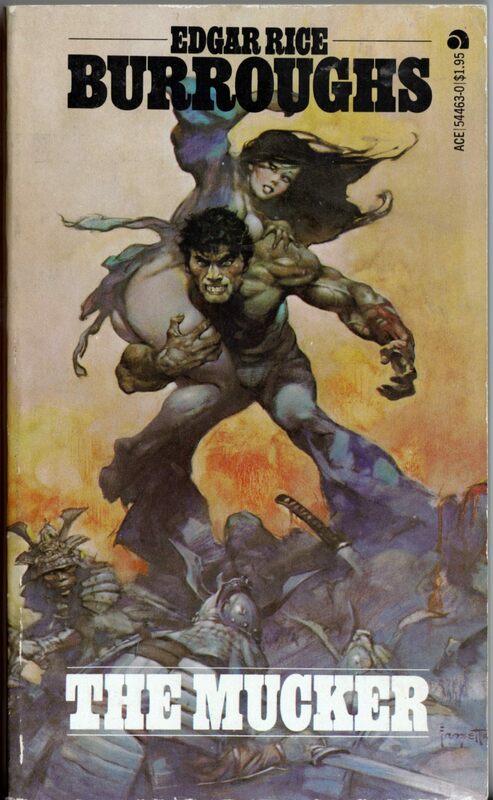 Rogue Roman is an early cover painting by Frazetta that someone out there might enjoy seeing in its original format. 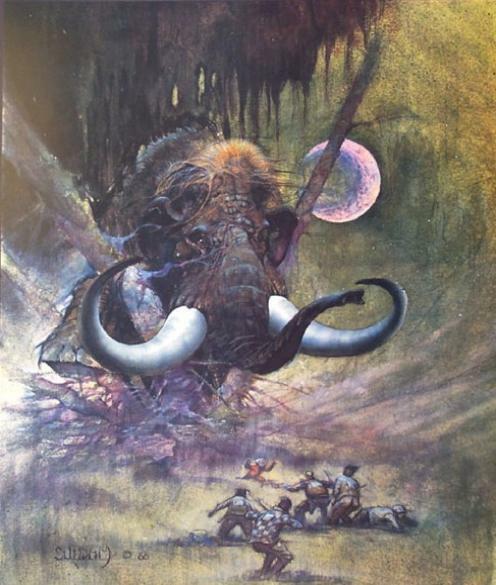 The painting sans text appears in the Frazetta art book, Icon (Grass Valley, CA: Underwood Books, 1998), page 126. Looks a lot different there, too: the overall tone is much, much warmer. 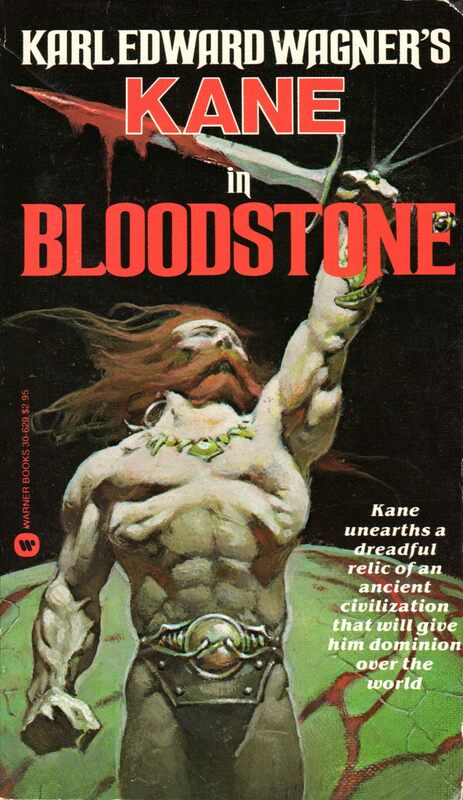 But I can’t decide if Rogue Roman is one of those pieces that was altered at a later date by Frazetta or not. And since there’s no mention of alterations in the discussion that accompanies the painting in Icon, it might just be a case of inaccurate reproduction on the paperback. Wouldn’t be the first time. 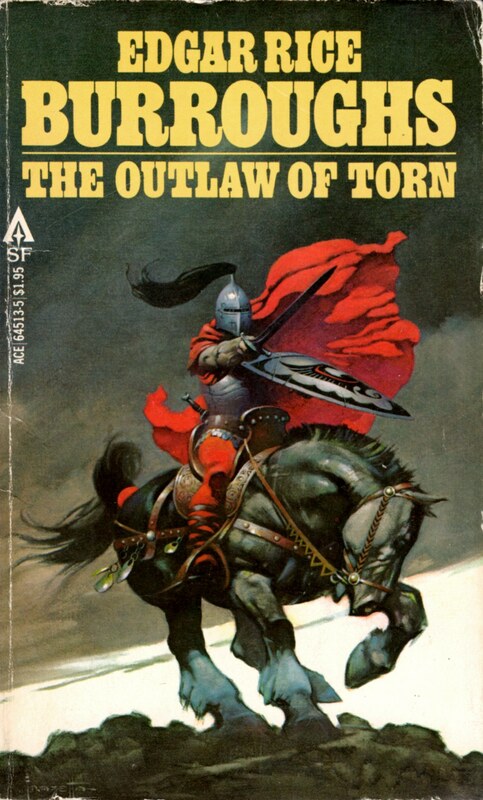 ABOVE: Lance Horner, Rogue Roman (New York: Fawcett, n.d.), with cover art by Frank Frazetta. 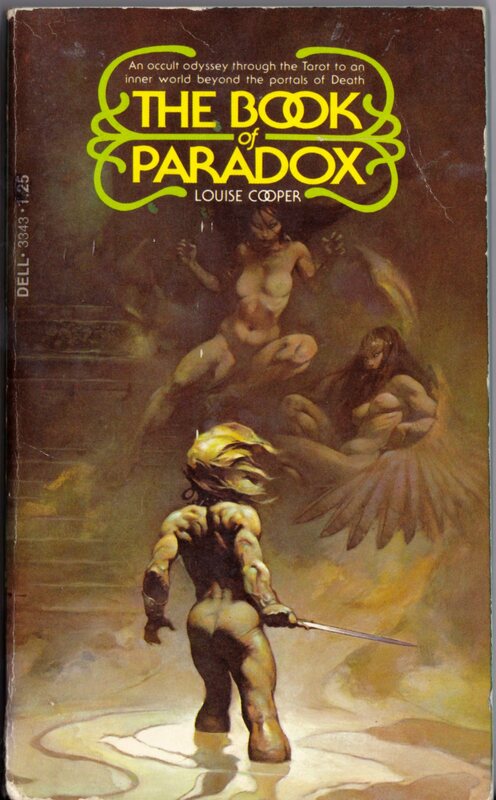 ABOVE: Louise Cooper, The Book of Paradox (New York: Dell, 1975), with cover art by Frank Frazetta. 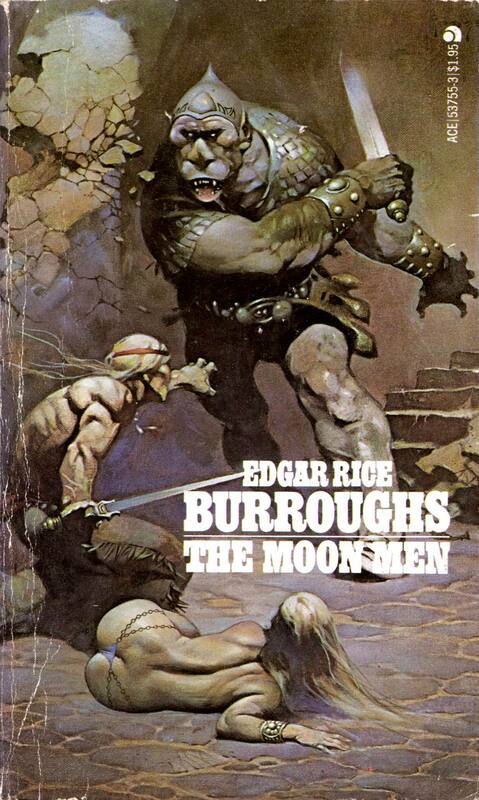 ABOVE: Edgar Rice Burroughs, The Moon Maid (New York: Ace, 1978), with cover art by Frank Frazetta. 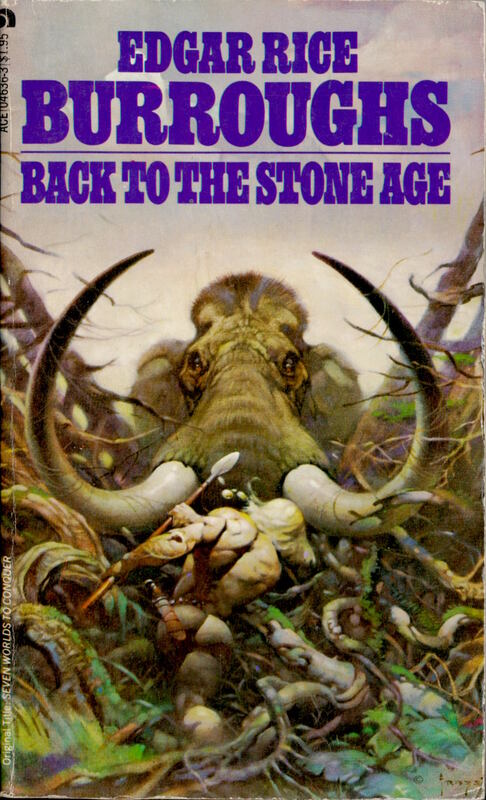 ABOVE: Edgar Rice Burroughs, The Mucker (New York: Ace, 1974), with cover art by Frank Frazetta. 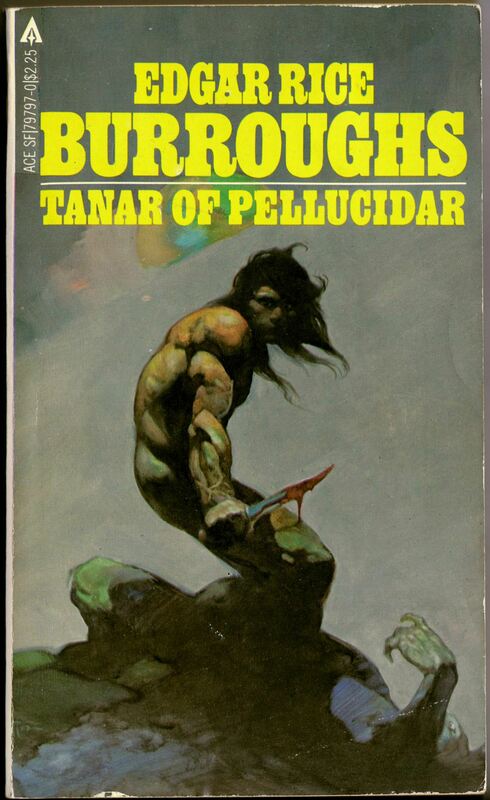 ABOVE: Edgar Rice Burroughs, Tanar of Pellucidar (New York: Ace, 1982), with cover art by Frank Frazetta. 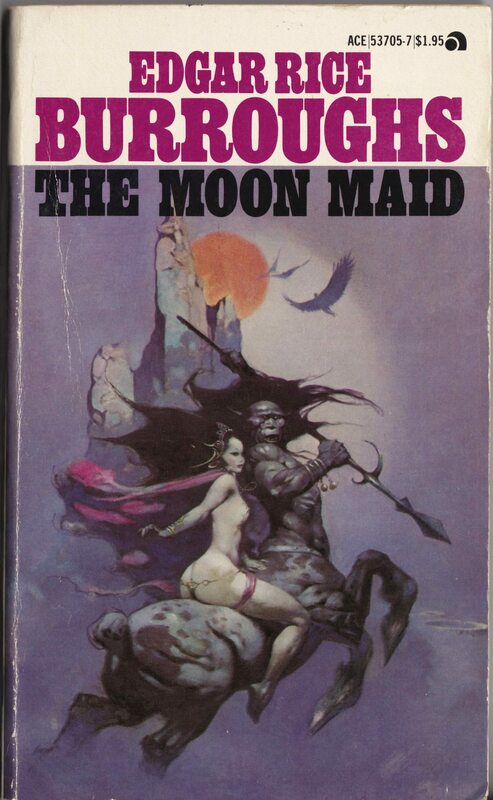 Of course, most Frazetta fans know that what makes the artist’s Moon Maid cover more than just a visually arresting illustration is that the original painting was substantially altered (though not, IMHO, improved) by Frazetta when he got it back from the publisher; which is to say, the painting as you see it here no longer exists. 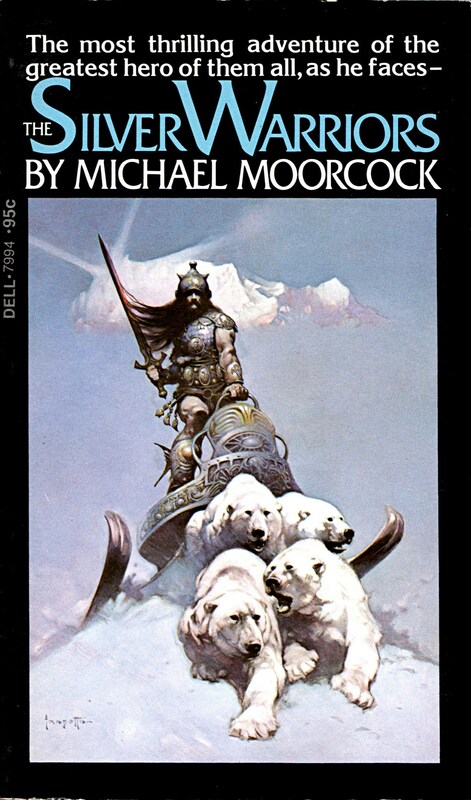 The male model for The Mucker could easily have been Frazetta himself. 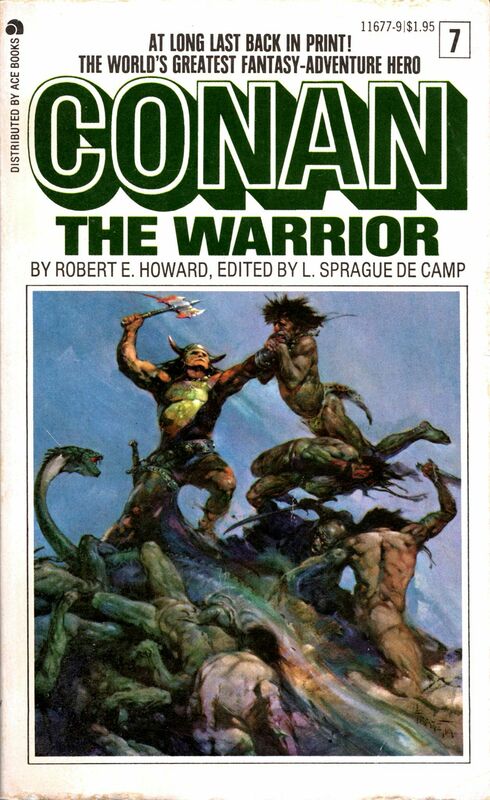 And finally, the central figure in Frazetta’s Tanar of Pellucidar was clearly swiped by Arthur Suydam for the painting that appears on the cover of his The Art of the Barbarian (Special Edition): Conan, Tarzan, Death Dealer. Look it up and you’ll see! Keywords: Rogue Roman, The Book of Paradox, The Moon Maid, The Mucker, Tanar of Pellucidar.